Add butter and sugar to a large mixing bowl and mix to cream until pale and fluffy. Add egg and vanilla essence and beat until just combined. Using a wooden spoon to ensure you don’t over beat and separate the mixture, add one third of the flour and mix until there are only a few steaks of flour left, add half the buttermilk and mix until just combined. Add another third of the flour and mix, followed by the remaining buttermilk and mix, finish with the final flour portion mixing until just combined. Carefully and evenly spoon the mixture into a standard 12 hole muffin tin, lined with paper liners and place into oven. Bake for 16-20 minutes or until the tops are golden and spring back into place when gently pressed. Remove from oven and let cool in tine for 5 minutes, then remove from tin and allow to cool completely on a wire rack. Once cooled, sprinkle with icing sugar. Meanwhile, in a medium bowl defrost two cups of McCain Season’s Choice Three Berry Mix, and another cup of McCain Season’s Choice Three Berry Mix in a small bowl. Once the two cups are defrosted, use the back of a fork to smash the berries. 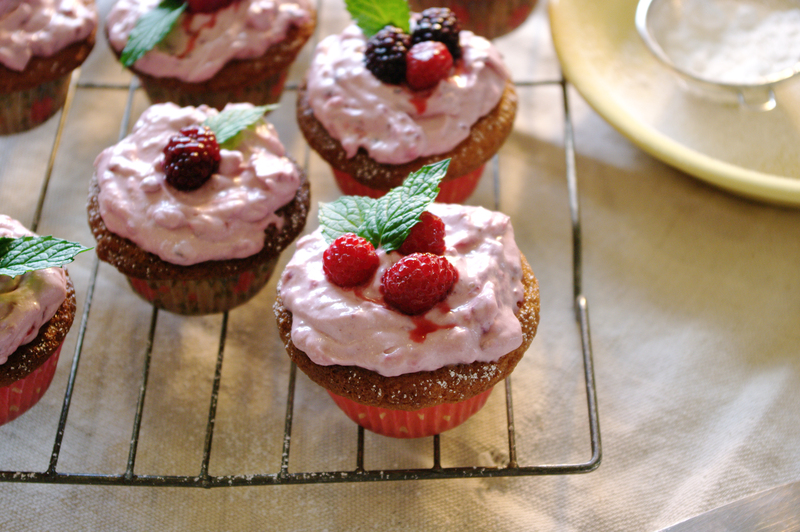 Sift ¼ cup of icing sugar into the smashed berry mix, add 300g of dollop cream and mix well to combine. 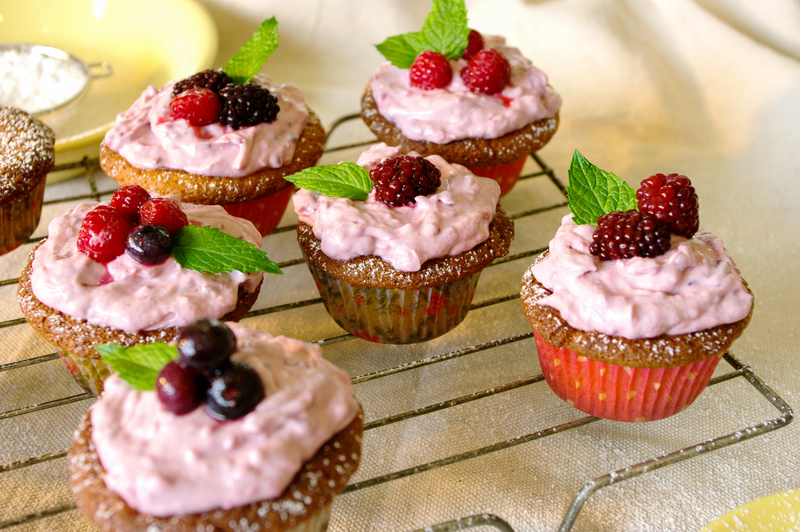 Carefully spoon a tbs of the smashed berry cream onto the top of each cupcake, garnish with defrosted berries and mint leaves.